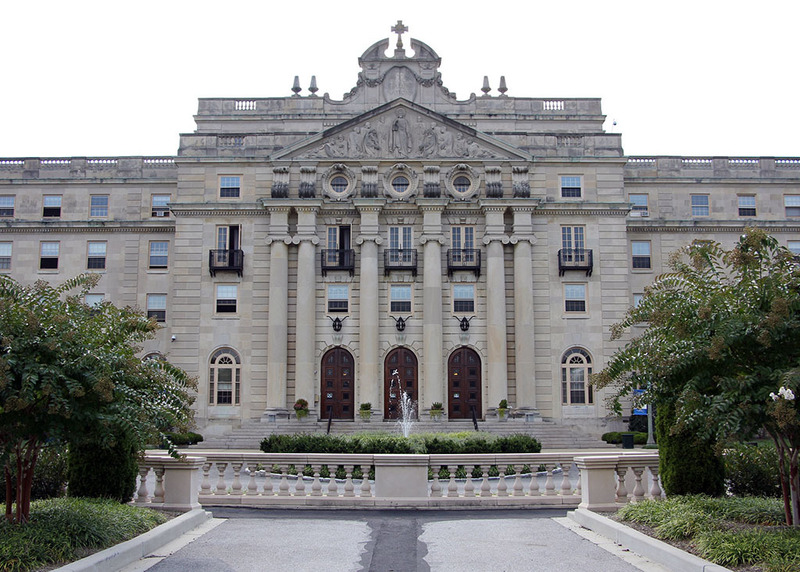 Founded in 1791, St. Mary's Seminary and University was the first Catholic seminary in the United States. 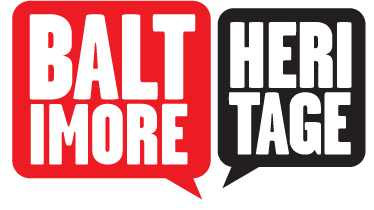 It was granted a civil charter by the State of Maryland in 1805 and in 1822, Pope Pius VII established it as the first seminary in the U.S. to grant ecclesiastical degrees, which it still does to this day. 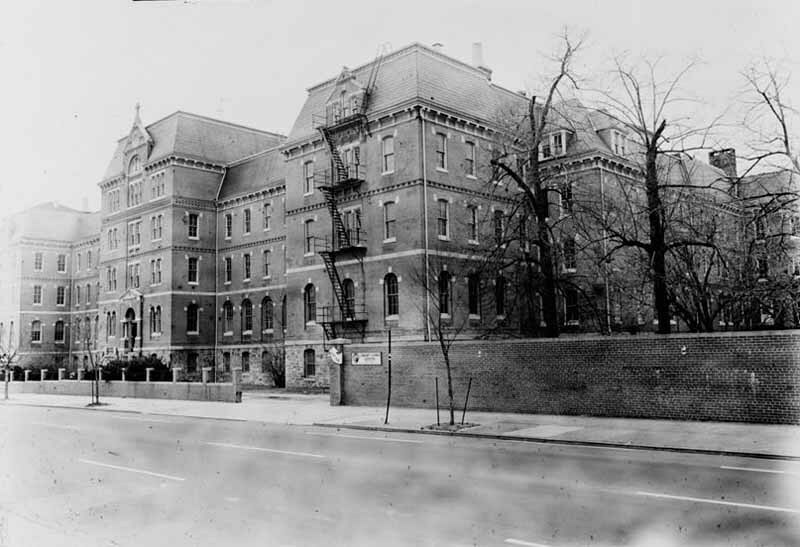 Originally on Paca Street, the seminary moved to its present location on Roland Avenue and Northern Parkway in Roland Park in 1929. This massive building, designed by Boston architects Maginnis and Walsh, has a classical entrance. 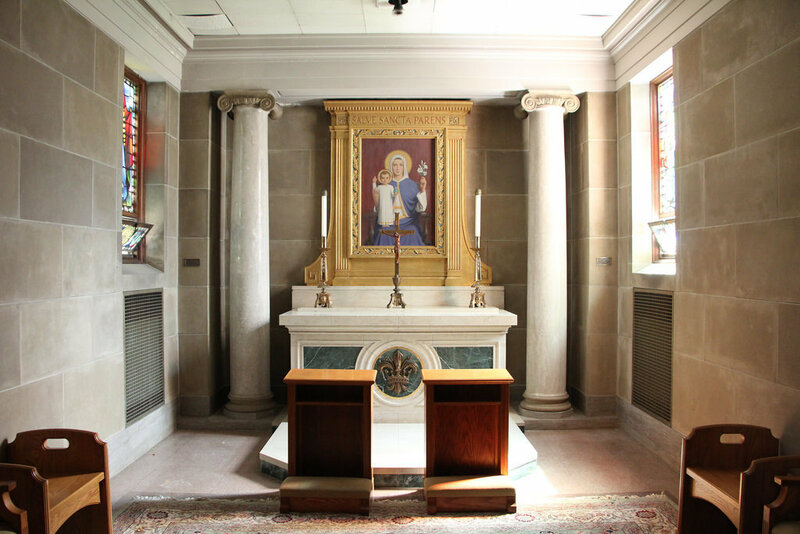 Immediately inside stands a statue of Mary, the patroness of the seminary, called Sedes Sapientiae, or Our Lady Seat of Wisdom. 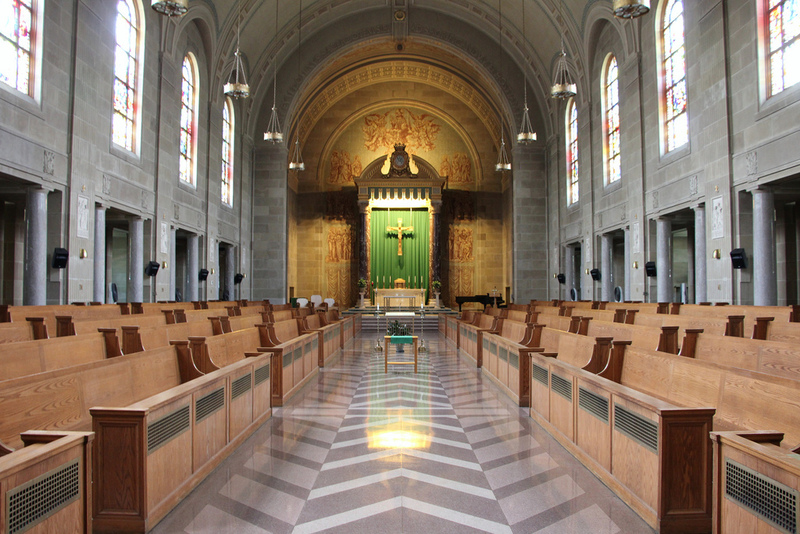 The main chapel, fitted in marble and oak, contains a Casavant pipe organ and stained glass windows imported from Paris. Today the seminary is cared for by the Sulpician Fathers and the building still houses seminarians following their calling. “Saint Mary's Seminary on Roland Avenue,” Explore Baltimore Heritage, accessed April 23, 2019, https://explore.baltimoreheritage.org/items/show/43.